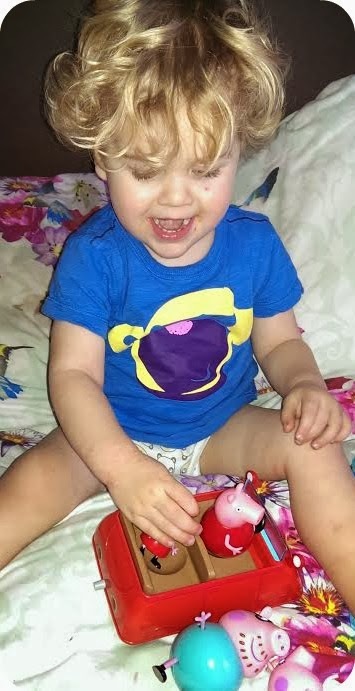 Over the Christmas period, Jack became a bit partial to Peppa Pig, watching it on our play dates with my friend, and also whilst he was ill at 1am! 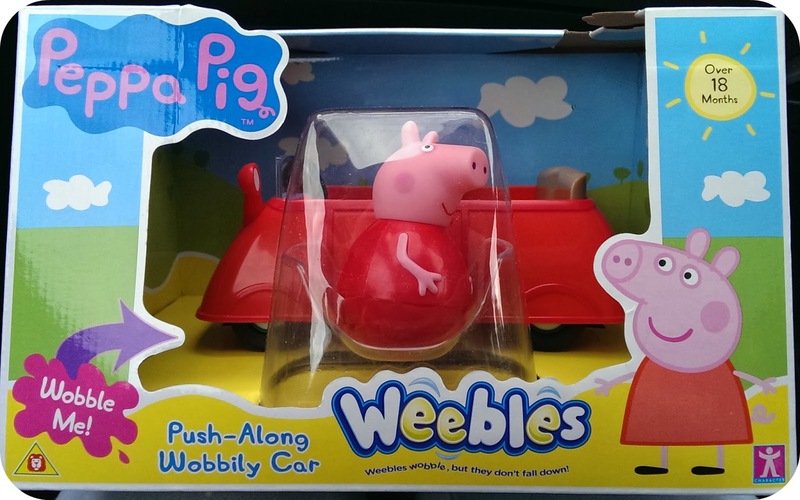 So when I was asked if we would like to review the Peppa Pig Weebles Push-Along Wobbily Car, I couldn't resist. I had missed the parcel so ended up collecting from the post office, so two weeks ago we fetched the car, and Jack was too eager to wait so we opened it in the car. During the two weeks, poor Peppa Pig Weeble has been through alot and put through the Jack test. Its been outside, crashed around the house, taken to a friends house and even been fell onto and its still in one piece and perfect! The Weebles are recommended from 18 months and are a perfect little size for toddlers hands. 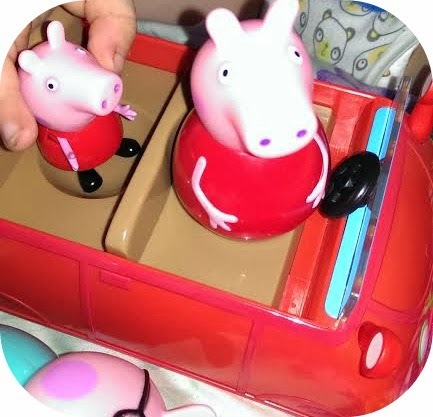 Jack enjoys making snorting pig noises with the weeble as well as imaginative play with his other Peppa characters. The wobbily car also feels sturdy and features two dipped seats for two weebles to sit in, the car also has slightly offset wheels so it wobbles as it drives along. Jack has really enjoyed playing with this toy, as has his friend and my little cousin so its a perfectly fun toy as agreed by three littlies. 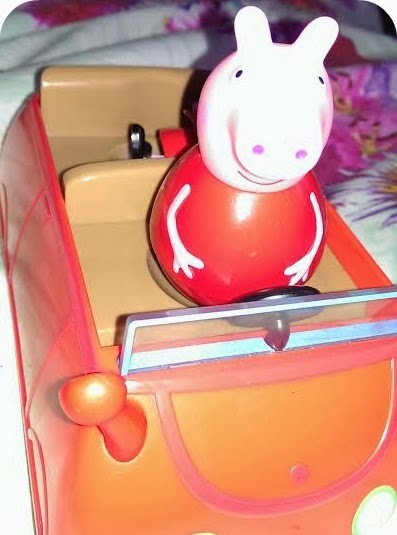 I would recommend to any Weeble or Peppa fan. I'm going to invest into some more characters for Jack to play with. The Peppa Pig Weebles Push Along Wobbily Car is priced at £14.99, which I think is very reasonable for a Peppa Pig toy, and its sturdy too. Additional characters can be purchased for £4.99 and you can also get additional playsets such as a playhouse and train. Please Note: We received this product for the purpose of this review. All opinions are my own and not influenced in anyway. This looks fun and easy for little hands to play with. I really love Weebles, they were one of my favourite toys as a child and I've loved being able to share them with my children too. I love the reinventing of them with the new Peppa Pig range.